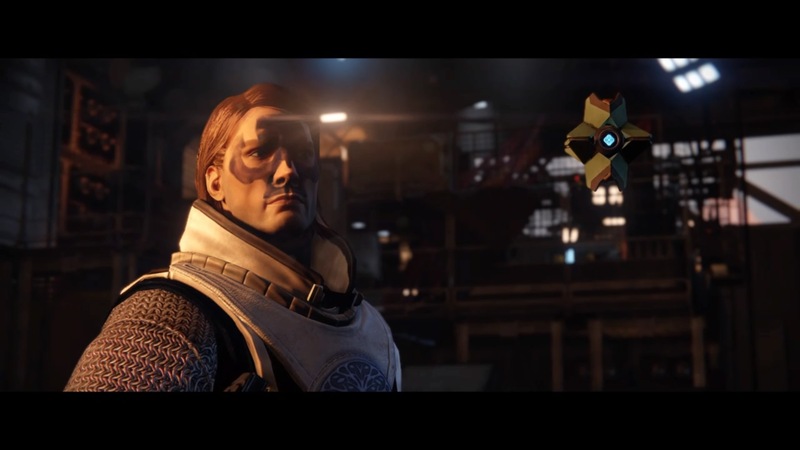 I had no memories when my ghost first revived me, just outside the Cosmodrome in old Russia. It was strange, a frightening and very confusing time. How was it possible that I was alive? At first, I didn’t even know my name, my name! How can you be a guardian if you do not even know your name? I suppose, on the surface a name is simply a word, a label, yet to me, a guardian’s identity is written in his name, his legend, his legacy, will always be tied to his name. My ghost suggested I take a name of my choosing, any name, one that I liked. Initially this seemed like a good idea, after all, this new life was a new beginning, why not take a new name. That is what all the guardians were told to do. You were not expected, maybe not supposed to have memories of your first life. It was not long however, shortly after our first encounter with a hive wizard, that the dreams started. I thought them at first to be nightmares, side effects of these blood stained encounters, broken, scattered images, flashes. Initially at least, it made no sense, as these were not things I had seen, maybe it was just an active imagination, a newly reborn imagination. It became apparent to me though that there was more to them than that. The images, visions, they became clearer, more cohesive. It was no longer just when I slept, it was any time I chose to channel it. These were, memories, like a voice from the past calling out through the dark of death, shattered fragments of a forgotten corpse, they key to finding out my name. Every day, every step of my new journey seemed to unveil more of the past. I will not go into details of my journey to and through the Black Garden here, which has been well chronicled in the tower along with the legends of you, my fellow guardians. What I intend to give you is some advice, maybe a warning, something that is paramount you keep in mind if you are to stay in the light. I was a scholar, a student, a fledgling warlock. I was not ready for combat, but after the moon, Mare Imbrium, after what Crota did …. my father, he was a great warlock, of the Praxic order, he was there, he … he perished there … so I … I had no choice, I had to enter the fray. There were 3 of us, back then it was always 3, you were assigned to each other, you became family or you perished in futility. My brother and sister, a Titan and a Hunter, we all fell together. It was an ambush, maybe a set up, it was like they knew … knew that we were coming. It was a simple, normal mission, fly in, recon, grab an item for research and get back out. It was routine, at least that’s what they told us, they were both on their first mission, me, oh I had done this before, at least, well… twice. My mentor had great faith in me, she said I was special, that if I were patient I could be someone in the tower one day, like my father, maybe even greater than he was, the vanguard would guide me. After the initial wave, after my father, she was sent to the moon too, she perished with the rest, and we were sent out. Sent too soon. We were not even 400 meters from our jump ship when they attacked, we were surrounded, they had no interest in anything other than death. No questions, no words, simply death, we took a couple of them with us, but the Fallen had us surrounded, it was over as quickly as it started. We had no ghosts then, death was final, eternal, well almost. This is not a happy story, a pretty tale for cool evenings. The memories they haunted me, tortured me as they continued to return and became more vivid. Once we were able to, I had my ghost return to the place of our falling, he located them too. Once I was assigned extra ghosts, I knew exactly who I would instruct them to find. It’s the memories you see, they are not just nightmares, they help you remember, help you to impact this new wave of guardians, this wave that will conquer the darkness, we will restore the Traveler. My brother, the Titan, he has been fine, I assume because he does not really think, maybe that’s an Awoken trait, although I suspect it is more a Titan thing, not to think. My sister, even though an exo, she is sensitive, it is much more difficult for her, she has to move slowly, it, well, that is her story …. What was I talking about anyway, the point to this monologue? Oh yes, a name, your name, my name. I am so much more now than I was previously, you could get drunk on the power if you were to lose control. That’s it, control, you must have control, without control you are no guardian. Power can consume you, fool you into believing you are some kind of god, something bigger than yourself, it is then that you become the most vulnerable to the darkness, it is then, that you will be consumed. You must bathe in the light, cleanse yourself, especially if you are to visit the memories, to learn the secrets of true guardian mastery. Maybe that’s where Toland went wrong, or maybe he was a man out of his time, I don’t know & I’m digressing again.